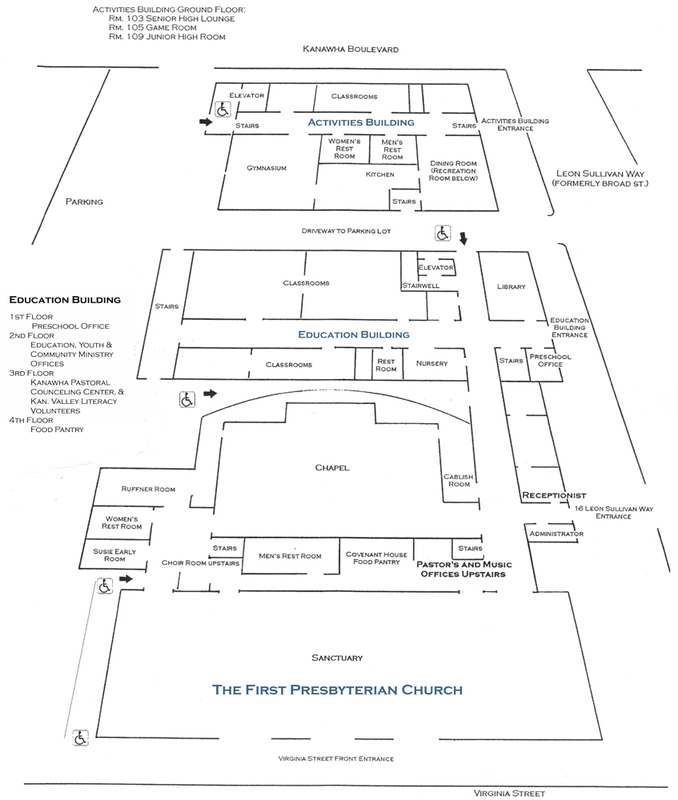 The church has three parking areas available every day. Parking along city streets is emtered during the weekdays and free after 6:00 pm and all day Sunday. Lot 1 – Across the street from the church on Virginia Street. We share the lot with Sacred Heart Catholic Church. Lot 2 – From Leon Sullivan Way, make a left between the church buildings and there is parking in the back. 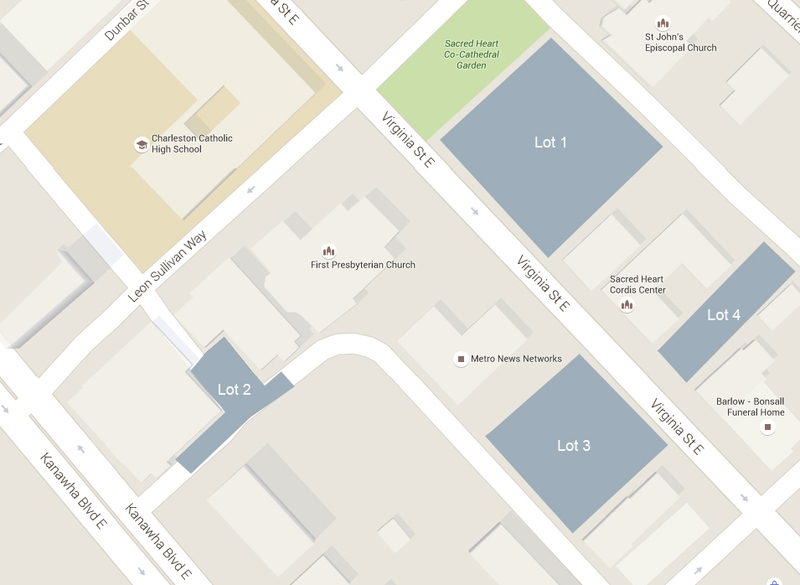 Lot 3 – Drive past First Presby on Virginia Street, past the radio station (white building) look for the lot sign on your right.